When it comes to saving money on heating, old steam systems are delicious, low-hanging fruit. There is so much you can do to make them better, and most of what you can do won't cost a fortune. It's not that easy, inexpensive, or even practical to rip out an old steam system and start anew, and that's why so many of them are still around. In this book, I'm going to walk you through those old systems, tell you some great success stories, and show you how to increase efficiency and save fuel dollars. You'll be amazed at how small changes can make a huge difference. 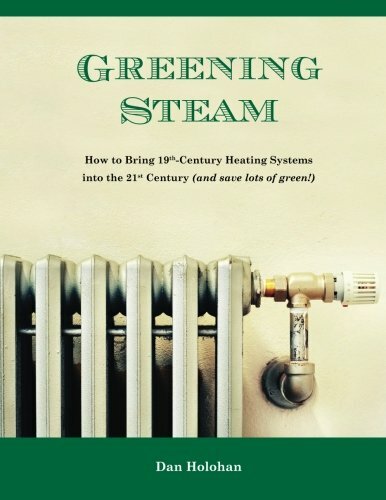 Read this book and you'll be greening your heating system and your wallet.